Today, three striking and athletic dance companies perform in the finale of this year’s Bryant Park Presents Modern Dance. 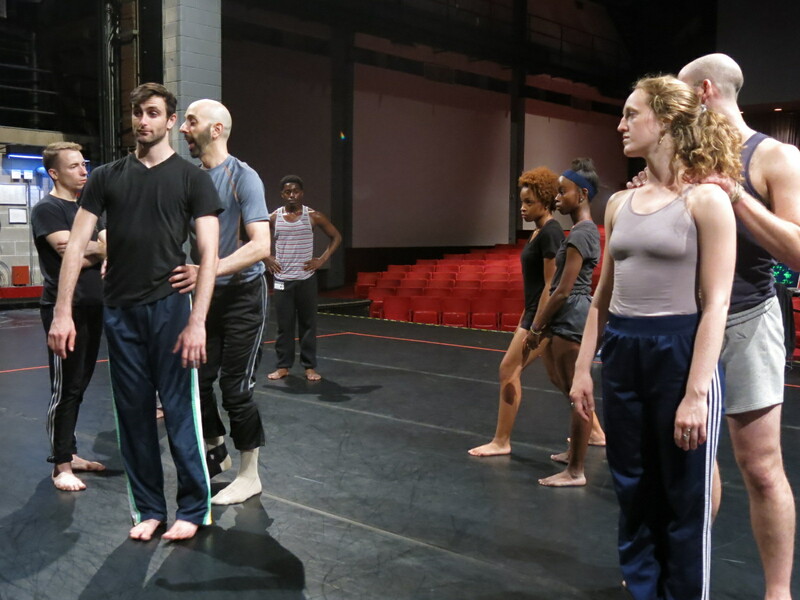 To celebrate the close of another great series of performances, Daniel Gwirtzman, director and choreographer of Daniel Gwirtzman Dance Company, describes his dancers’ preparations and excitement for the event. Friday will mark the fourth Daniel Gwirtzman Dance Company (DGDC) performance in Bryant Park, and we are sharing many audience favorites from our diverse repertory. These dances, all accessible, theatrical, musical and colorful, have all enjoyed many performances throughout the years. The program, which combines ten dances in thirty minutes, has never been performed in New York. Dancers practice lifts in advance of today's performance. As a repertory company, we strive to maintain detail-oriented and intricate choreographies despite rotating casts of dancers. 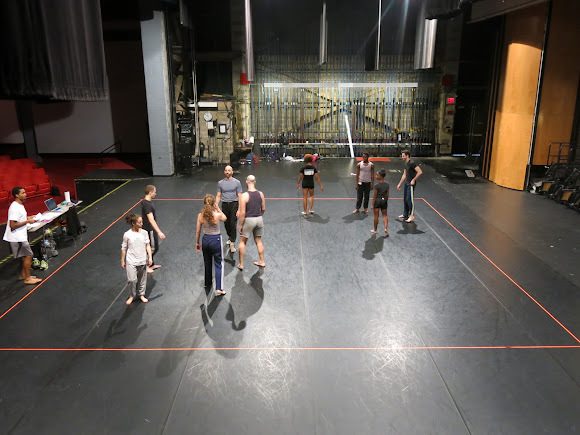 Throughout the rehearsal process, the lively energy of the movement vocabulary allows each group of dancers to form a welcoming camaraderie with each other despite their various dance backgrounds. I am excited to announce that long-time dancer Stacy Martorana will join the ranks for Friday’s program (courtesy of Mark Morris Dance Group). Stacy has danced with DGDC since 2006 and has made important contributions to the legacy and history of the company. To be able to dance with her again is pure joy. Rehearsal, shot from a high angle. 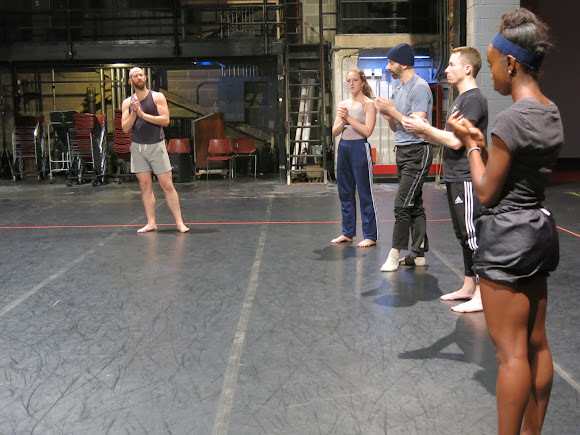 Dancers clap after a smooth rehearsal. We hope you will come see what all the fun is about!